Spherical disc butterfly valve is developed combined with the advantage of the butterfly valve and segment ball valve . 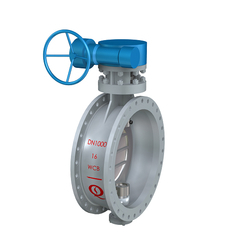 The special disc butterfly valve can be used at inlet and outlet of the water pump,piping network system,recovery system,high water tank,sewage system and any other back flow preventing position to shut off or control the pipeline. 1.Designed with bidirectional sealing structure,the installation of the spherical disc butterfly valve will not be restricted by the direction of the fluid. 2.Since the metal sealed spherical disc butterfly valve is offered with self-sealing device,reliable sealing performance can be realized under the pressure from medium. 3.When the valve is installed on the reversed direction of the fluid ,powerful specific pressure of sealing can be obtained as valve seat and fluid formed annual contacting area. 4.The valve has long service life due to wear compensation. 5.The unique rotational structure ,as well as the sphere-conical sealing surface of the valve seat,makes for the self-cleaning function.The solid particles will be crushed when the bidirectional sphercial disc butterfly valve is opened or closed. Body material ：WCB, CF8, CF8M, CF3, CF3M,etc.